The wireless MAGNETOSHAPE® gripper separates the stationary drive unit from the actual gripper (attached to roboter etc.). Pneumatic and electrical connections in moving systems can be complete avoided and failure due to fatigue can be excluded. The wireless gripper can clamp parts with a multiple of ist own weight having opening and closing times significantly below 10 ms. 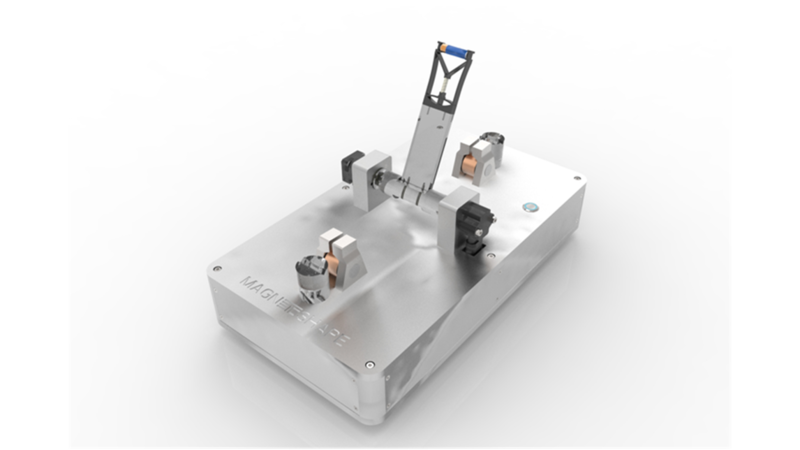 The versatile MAGNETOSHAPE® gripper concept is ideal for high-speed handling of small parts. An application oriented development according to customer demands is always possible.